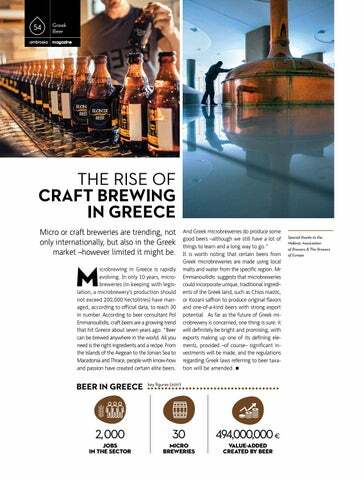 THE RISE OF CRAFT BREWING IN GREECE Micro or craft breweries are trending, not only internationally, but also in the Greek market –however limited it might be. icrobrewing in Greece is rapidly evolving. In only 10 years, microbreweries (in keeping with legislation, a microbrewery’s production should not exceed 200,000 hectolitres) have managed, according to official data, to reach 30 in number. 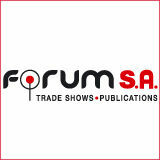 According to beer consultant Pol Emmanouilidis, craft beers are a growing trend that hit Greece about seven years ago. “Beer can be brewed anywhere in the world. All you need is the right ingredients and a recipe. From the islands of the Aegean to the Ionian Sea to Macedonia and Thrace, people with know-how and passion have created certain elite beers.